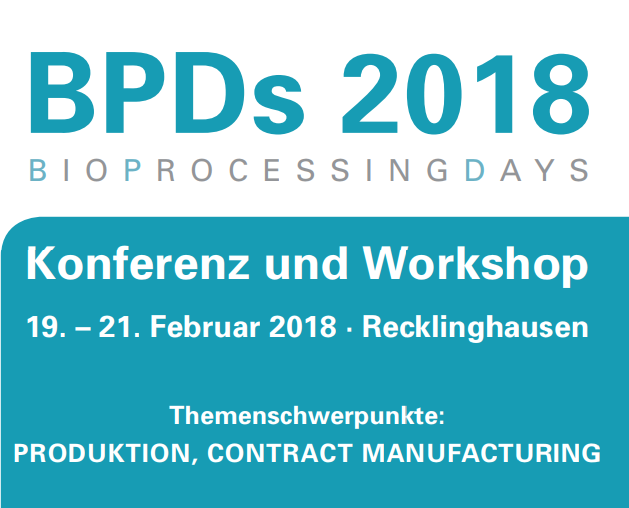 From the 19th to 21st of February 2018, Prof. Frank Eiden and his group “BioProzessTechnik” will be hosting this year’s BioProcessingDays at the Westfälische Hochschule in Recklinghausen. Again, aquila biolabs is one of the sponsors and we will also be offering a new workshop with the title “Online Biomass Monitoring and Automated Feeding in Shake Flasks – Techniques and Applications”. The registration and additional information can be found here.